The Wars in Lombardy were a series of conflicts between the Republic of Venice and the Duchy of Milan and their respective allies, fought in four campaigns in a struggle for hegemony in Northern Italy that ravaged the economy of Lombardy and weakened the power of Venice. They lasted from 1423 until the signing of the Treaty of Lodi in 1454. During their course, the political structure of Italy was transformed: out of a competitive congeries of communes and city-states emerged the five major Italian territorial powers that would make up the map of Italy for the remainder of the 15th century and the beginning of the Italian Wars at the turn of the 16th century. They were Venice, Milan, Florence, the Papal States and Naples. Important cultural centers of Tuscany and Northern Italy—Siena, Pisa, Urbino, Mantua, Ferrara—became politically marginalized. Ludovico Sforza of Milan, seeking an ally against the Republic of Venice, encouraged Charles VIII of France to invade Italy, using the Angevin claim to the throne of Naples as a pretext. When Ferdinand I of Naples died in 1494, Charles VIII invaded the peninsula with a French Army  of twenty-five thousand men (including 8,000 Swiss mercenaries), possibly hoping to use Naples as a base for a crusade against the Ottoman Turks. For several months, French forces moved through Italy virtually unopposed, since the condottieri armies of the Italian city-states were unable to resist them. Charles VIII made triumphant entries into Pisa on November 8, 1494, Florence on November 17, 1494,  and Rome on December 31, 1494. Upon reaching the city of Monte San Giovanni in the Kingdom of Naples, Charles VIII sent envoys to the town and the castle located there to seek a surrender of the Neapolitan garrison. The garrison killed and mutilated the envoys and sent the bodies back to the French lines. This enraged the French army so that they reduced the castle in the town with blistering artillery fire on February 9, 1495 and stormed the fort, killing everyone inside. This event was then called the sack of Naples. 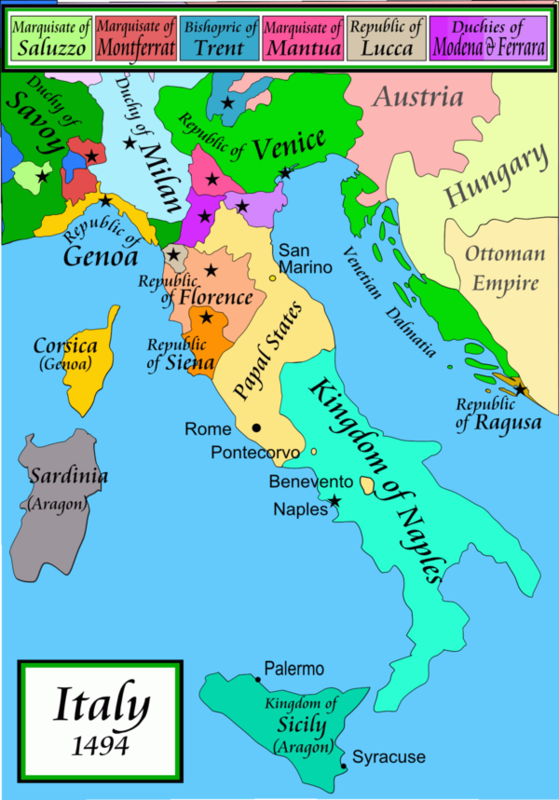 News of the French Army's sack of Naples provoked a reaction among the city-states of Northern Italy and the League of Venice was formed on March 31, 1495. The League was specifically formed to resist French aggression. The League was established on 31 March after negotiations by Venice, Milan, Spain and the Holy Roman Empire. 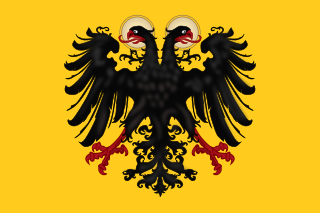 Later on the League consisted of the Holy Roman Empire, the Duchy of Milan, Spain, the Papal States, the Republic of Florence, the Duchy of Mantua and the Republic of Venice. This coalition, effectively, cut Charles' army off from returning to France. After establishing a pro-French government in Naples, Charles started to march north on his return to France. However, in the small town of Fornovo he met the League army. The Battle of Fornovo was fought on July 6, 1495, after an hour the League's army was forced back across the Taro river while the French continued marching to Asti, leaving their carriages and provisions behind. Francesco Guicciardini wrote that both parties strove to present themselves as the victors in that battle, but the eventual consensus was for a French victory, because the French repelled their enemies across the river and succeeded in moving forward, which was their reason for fighting in the first place. In contemporary tradition, though, the battle counted as a Holy League victory, because the French forces had to leave and lost their provisions. To the Italian coalition, however, it was at best a pyrrhic victory, in that its strategic outcome and long-term consequences were unfavorable. Although the League managed to force Charles VIII off the battlefield, it suffered much higher casualties  and could not prevent the opposing army crossing the Italian lands as it returned to France. As part of Louis XII's continuing attempt to pacify or neutralize his neighbors to prevent them from obstructing his ambitions in Italy, Louis XII opened discussions with King Ferdinand and Queen Isabella of Spain. On November 11, 1500, Louis signed the Treaty of Grenada. The Treaty of Grenada memorialized Louis XII's agreement with Ferdinand II of Aragon, King of Spain, to divide the Kingdom of Naples between themselves. Then Louis set off marching south from Milan towards Naples. King Louis XII's agreement with Spain was heavily criticized by contemporaries—including Niccolò Machiavelli in his masterpiece The Prince. Modern historians also criticize the Treaty of Grenada by calling it "foolish" on Louis XII's part. They allege, as does Machiavelli, that Louis XII did not need to invite Spain into Italy. Louis XII had achieved everything he needed in the Treaty of Marcoussis, that he had signed two years earlier (see above). The Treaty of Grenada did nothing but bind Louis XII's own hands. Once involved in Italian affairs, Spain would work to the detriment of France in Italy. Indeed, this is just what happened. By 1500, a combined French and Spanish force had seized control of the Kingdom of Naples. Louis XII appointed Louis d'Armagnac, Duke of Nemours as viceroy at Naples. On October 12, 1501,  the new viceroy took over administration of Naples. However, the new French viceroy proved to be more concerned with extending the French share of the kingdom than he was in ensuring that the Spanish received their share. This did much to aggravate relations between France and Spain. These disagreements about the terms of the partition led to a war between Louis and Ferdinand. By 1503 Louis, having been defeated at the Battle of Cerignola on April 28, 1503,  and Battle of Garigliano on December 29, 1503,  was forced to withdraw from Naples, which was left under the control of a Spanish viceroy, General Gonzalo Fernández de Córdoba. Pope Julius II became pope upon the death of Pope Pius III on 18 October 1503. He was extremely concerned about the territorial expansion of the Republic of Venice in northern Italy. Pope Julius was not alone in his fear of Venetian territorial ambitions. Being from Genoa, Pope Julius knew of the Genoese hatred of Venice for forcing the other states out of the rich Po Valley as the Republic expanded its frontiers across northern Italy. Additionally, Emperor Maximilian was upset with the Venetian seizure of Duchy of Friuli and the bordering County of Gorizia, which Maximilan claimed as his rightful inheritance. Furthermore, King Louis XII of France had been firmly established in Milan since 1500. Louis XII now saw Venice as a threat to his position in Milan. Moreover, King Ferdinand of Naples (and of Aragon) resented the fact that Venice held a number of towns in southern Italy along the Adriatic coast. By 1510, relations between Louis XII and the pope had broken down. Accordingly, the Pope changed sides in the war and allied itself with Venice, which was now less of a threat to the pope due to previous Venetian defeats. In March 1510, Pope Julius brokered a deal with the Swiss Cantons that brought 6,000 more Swiss troops into the war against the French. Following a year of fighting over the Romagna, during which the Veneto-Papal alliance was repeatedly defeated, the Pope proclaimed a Holy League against the French in October 1511. This league rapidly grew to include England, Spain, and the Holy Roman Empire. Louis mounted another invasion of Milan but was defeated at the Battle of Novara on June 6, 1513. The Battle of Novara would be the last in which the traditional Swiss tactic of charging in three columns would be used with success. The victory of the Holy League at Novara was quickly followed by a series of Holy League victories against the Venetians at La Motta on October 7, 1513, the French at Guinegate on August 16, 1513, and the Scots at Flodden Field on September 9, 1513. Overshadowing all, however, was the death of Pope Julius II on February 20, 1513,  which left the League without effective leadership. 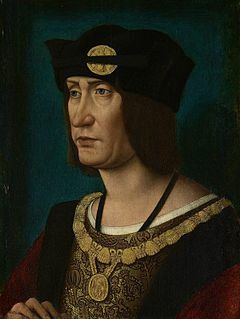 On January 1, 1515, Louis XII also died  and was succeeded to the throne of France by his nephew, Francis I. Francis I continued Louis XII's war against the League of Cambrai in Italy by leading a French and Venetian Army against the Swiss and routing them at Marignano on September 13–14, 1515. This victory decisively broke the string of victories that the Swiss had enjoyed against the Venetians and the French. Following the Battle of Marignano, the League of Cambrai or Holy League collapsed as both Spain and the new pope, Leo X, gave up on the notion of placing Massiliano Sforza on the ducal throne of Milan. By the treaties of Noyon on August 13, 1516, and Brussels, the entirety of northern Italy was surrendered to France and Venice. After three years of relative peace, the elevation of Charles I of Spain to Holy Roman Emperor on June 28, 1519, led to a collapse of relations between France and the Habsburgs. Francis I himself had been a candidate for election as Holy Roman Emperor before Charles V was chosen. This led to a personal rivalry between Francis I and Charles V that was to become one of the fundamental conflicts of the sixteenth century. Francis' candidacy for Emperor had been supported by Pope Leo X. Thus, Pope Leo now had a real fear of Charles V. Charles' empire included the Kingdom of Naples, the northern border of which was just forty miles from the Vatican. Charles V took Milan from the French in 1521 and returned it to Francesco Sforza, the Duke of Milan, in 1522. The French were outmatched by the Spanish arquebusier tactics and suffered crippling defeats at Bicocca on April 27, 1522,  and Sesia, against Spanish troops under Fernando de Avalos, on April 30, 1524. With Milan in Imperial hands, Francis personally led a French army into Lombardy in 1525, only to be utterly defeated and captured at the Battle of Pavia on February 24, 1525. With Francis imprisoned in Spain, a series of diplomatic maneuvers centered around his release ensued, including a special French mission sent by Francis' mother Louise of Savoy to the court of Suleiman the Magnificent that would result in an Ottoman ultimatum to Charles – an unprecedented alliance between Christian and Muslim monarchs that would cause a scandal in the Christian world. Suleiman used the opportunity to invade Hungary in the summer of 1526, defeating Charles' allies at the Battle of Mohács on August 29, 1526. Despite all these efforts, Francis was required to sign the Treaty of Madrid in January 1526,  in which he surrendered his claims to Italy, Flanders, and Burgundy in order to be released from prison. In 1526, Pope Clement VII, alarmed at the growing power of the Empire, formed the League of Cognac against Charles V on May 22, 1526. Members of the League were the Papal States under Pope Clement VII, France under King Francis I,  England under Henry VIII, the Republic of Venice, Republic of Florence, and the Duchy of Milan. The League planned a war against the Empire to begin in early 1526. The Imperial troops in Italy were extremely discontented because they were owed so much back pay that was not forthcoming. In some places in Italy, the Imperial troops were even refusing to take the field of battle until they were paid. The military commanders of the League of Cognac wished to take advantage of this disorder and demoralization of the Imperial troops and to attack the troops in early 1526. However, the League commanders knew that they were soon to be joined by some Swiss mercenaries they had hired. So they delayed the start of the attack until they were joined by the Swiss. Suddenly the League started to fall apart. 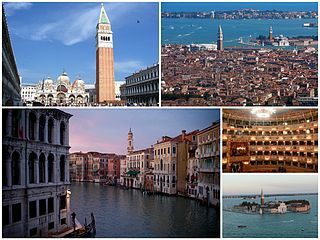 Venice had suffered devastating damage in the Italian Wars. Its subject lands—the "Terraferma"—had been ravaged from 1509 to 1516. At one time or another during the Italian Wars, every city in Venice's Terraferma, except for the city of Treviso, had been lost to an enemy. As a result, Venice refused to contribute any more troops to the war effort. After 1529, Venice would cease all direct involvement in the Italian Wars. Realizing that their goal of reconquering Milan was no longer on the table, the French army left Lombardy and headed back to France. 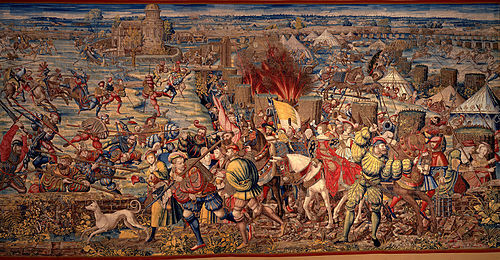 With the withdrawal of French forces from Lombardy, Charles V proceeded to subdue Florence, and, in 1527, Rome itself was sacked by mutinous Imperial forces. Clement was imprisoned by Imperial troops  and offered no further resistance to Charles V. With the conclusion of the Treaty of Cambrai in 1529, which formally removed Francis from the war, the League collapsed; Venice made peace with Charles V, while Florence was placed again under the Medici. When the Treaty of Cambrai was being signed in August 1529,  thus ending the War of the League of Cognac, Emperor Charles V was already making his way to Italy. This trip to Italy and the settlement of Italian affairs during the trip is traditionally viewed as marking the end of Italian political liberty and independence and the beginning of a long period of control  by the Spanish and the Holy Roman Empire. Charles V's influence and control of affairs in Italy had grown out of King Louis XII's much criticized invitation to Spain under the Treaty of Grenada (1500) to join in settling problems in Italy. (See § Second Italian War above.) In 1500, Spain had been a separate and independent kingdom under King Ferdinand and Queen Isabella. Now under Charles V, both Spain and the Holy Roman Empire were part of the same political entity. Even in 1500, the influence that Spain could bring to Italian politics was significant, but it was still minor compared to the power that Charles V could now exercise in Italy. The main goal of that power and influence was now aimed at France, the very power that had invited the Spanish into Italy in the first place. Thus, this third war between Charles V and King Francis I of France  began with the death of Francesco Maria Sforza, the duke of Milan during the night of November 1–2, 1535. Upon his death, Francesco Sforza left no heirs. Emperor Charles V was on another trip to Italy when he heard about the death of Sforza. When the representatives of Emperor Charles V took charge of the Duchy of Milan upon the death of Sforza, there were no protests or uprisings among the people of Milan. Nor were there any objections from any other Italian states. There were, however, objections from France. Francis I, king of France, firmly believed that Asti, Genoa and the Duchy of Milan were all rightfully his. Thus recovering Milan for France remained the primary goal for Francis I. So when Charles bequeathed the Duchy of Milan to his son Philip, King Francis I of France invaded Italy. At about this time, Francis told his council that he had allowed Emperor Charles V to become too strong in Italy. This was an open admission by a French King that Louis XII's signing of the Treaty of Grenada in November 1500 had been a mistake. In response to the capture of Turin by the French, Charles V invaded Provence, advancing to Aix-en-Provence. Charles took Aix on August 13, 1536, but could go no further because the French Army blocked all roads leading to Marseilles. Consequently, Charles withdrew back to Spain rather than attacking the heavily fortified town of Avignon. Charles V's fruitless expedition to Provence distracted his attention from events in Italy. French troops operating in the Piedmont were joined by 10,000 Italian infantry and a few hundred horses on a march to Genoa. These Italian troops had been raised by Guido Rangoni, Galeotto Pico della Mirandola and other members of the military nobility of southern Lombardy. Galeotto had gained control of Mirandola in 1533 by killing his uncle Giovanni Francesco Pico della Mirandola. In preparation for his invasion of Italy, Francis I's ambassador to the Ottoman Empire, Jean de La Forêt, obtained, in early 1536, a treaty of alliance between the Ottoman Empire and France. By the end of 1536 an Ottoman fleet was poised off the coast of Genoa ready to strike in coordination with the land forces marching toward Genoa. However, when the land forces arrived before Genoa in August 1536, they found that the garrison at Genoa had recently been reinforced. Furthermore, an expected uprising among Fregoso partisans in Genoa did not materialize. So the land forces moved by Genoa and marched on into the Piedmont where they captured and occupied Carignano along with three other towns between Turin and Saluzzo: Pinerolo, Chieri and Carmagnola. The active participation of the Ottomans in the war was not significant, but their very entry into the war had a curbing effect on the actions of Charles V. Fighting a two front war, against the Ottomans in the east and the French in the west, did not appeal to Charles V. Consequently, by 1538, Charles was ready for peace. 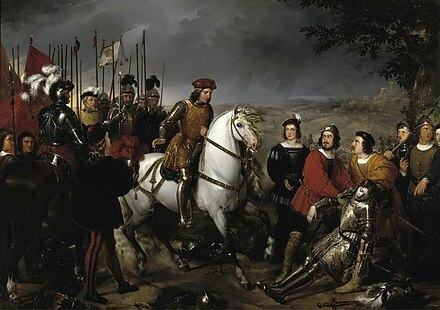 Once again Milan was the pretext for the War of 1542–1546. The French Army commanded by François de Bourbon, Count d'Enghien defeated an Imperial army at the Battle of Ceresole on April 14, 1544. However the French failed to penetrate further into Lombardy. On January 6, 1537, Alessandro de Medici, the Duke of Florence, was assassinated by his distant cousin, Lorenzino de' Medici. Alessandro had the support of the Holy Roman Empire as he was married to Charles V's daughter, Margaret. With the Duke of Florence removed, some citizens of Florence attempted to establish a republic in the city, while other pro-Medici citizens sought to install the seventeen-year-old Cosimo de' Medici as the new Duke. The republican faction raised an army under the command of Piero Strozzi. The pro-Medici faction sought assistance from Charles V to defeat the republican faction. King Francis I supported the now-exiled republican faction as a means of preventing Charles V from taking over Florence. On June 4, 1544, the army of republican exiles from Florence under the command of Piero Strozzi was defeated by an Imperial army under the command of Philippe de Lannoy and Ferrante da Sanseverino, Principe di Salerno. Charles V and Henry VIII of England then proceeded to invade northern France, seizing Boulogne and Soissons. At one point the English and Imperial troops were within sixty miles of Paris. A lack of cooperation between the Spanish and English armies, coupled with increasingly aggressive Ottoman attacks, led Charles to abandon these conquests, restoring the status quo once again. ↑ Lessafer, Peace Treaties and International Law in European History: From the Late Middle Ages to World War One, 23. ↑ Morris, Europe and England in the Sixteenth Century, 150. 1 2 3 Michael Mallett and Christine Shaw, The Italian Wars: 1494–1559, p. 240. ↑ Michael Mallett and Christine Shaw, The Italian Wars: 1494–1559, p. 282 and Eric Durot, François de Lorraine (Paris, 2012), chapters 7 and 8. ↑ Guicciardini, Francesco (1984). The history of Italy. Translated by Alexander, Sydney. Princeton, N.J.: Princeton University Press. p. 50. ISBN 9780691008004. OCLC 10146515. Guicciardini, Francesco. The History of Italy . Translated by Austin Parke Goddard. London: John Towers. 1753. 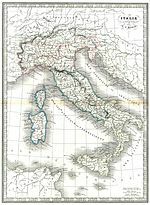 Wikimedia Commons has media related to Italian Wars . The Battle of Fornovo took place 30 km southwest of the city of Parma on 6 July 1495. The Holy League, an alliance comprising notably the Republic of Venice, was able to temporarily expel the French from the Italian Peninsula. It was the first major battle of the Italian Wars. Francesco II Sforza was Duke of Milan from 1521 until his death. He was the last member of the Sforza family to rule Milan. Hugo de Moncada a.k.a. Ugo de Moncada,, was a Spanish political and military leader of the late 15th and early 16th century. He served as General of Ocean and Land, Viceroy of Sicily, 1509–1517, Viceroy of Naples, 1527 - 1528. The imperial election of 1486 was an imperial election held to select the emperor of the Holy Roman Empire. It took place in Frankfurt on February 16.